GAO report offers recommendations to IRS on reining in large retirement accounts with hard-to-value assets. Senate Finance Committee Chairman Ron Wyden, D-Ore., has urged the IRS and the Treasury Department to crack down on “mega IRAs” after a Government Accountability Office report found holders of large IRAs are using alternative investment strategies such as excess contributions and undervalued assets as tax dodges. 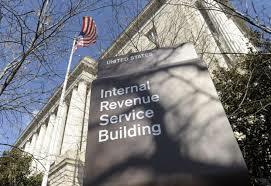 The GAO report, released this week, noted that for tax year 2011, roughly 600,000 taxpayers had IRA accounts worth more than $1 million – and about 9,000 taxpayers had IRAs worth more than $5 million. “Those figures stand in stark contrast to most Americans, who had a median IRA account balance of about $21,000,” Wyden told IRS Commissioner John Koskinen and Treasury Secretary Jacob Lew in a letter. Individuals “who invest in these assets using certain types of IRAs can escape taxation on investment gains,” the report says.